The Hepburn Renewable Energy Association is a group of voluntary members committed to the reduction of our local greenhouse footprint. As part of that commitment, HREA conceived and nurtured the concept of Australia's first community owned wind farm will reduce the whole area's greenhouse foot print. The Hepburn Wind Community Co-operative has been established to offer the opportunity of community ownership of wind turbines in Hepburn. 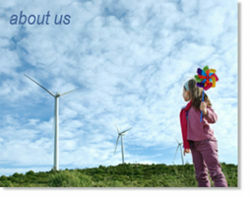 Hepburn Wind will own and operate the Hepburn Community Wind Park — Australia’s first community owned wind farm. The Wind Park will consist of two turbines located on Leonards Hill approximately 10 km south of Daylesford. The output of renewable energy from the two turbines will be sufficient to power over 2,300 homes — effectively all of Daylesford and Hepburn Springs. The resulting reduction in carbon emissions will be equivalent to removing approximately 2,800 cars from the road. An investment in Hepburn Wind is a unique opportunity to earn attractive returns from the fast-growing renewable energy sector while also contributing to a sustainable future for the next generation of Australians. This page was last modified 02:40, 7 September 2008.